Philomena is scored by Alexandre Desplat, one of the biggest names in the music-scoring business. Having composed for everything from Harry Potter and the Deathly Hallows to The King’s Speech to Fantastic Mr. Fox, his music is trusted. With Philomena, Desplat didn’t disappoint. The music is gentle, unpretentious and somehow, as the best soundtracks manage to do, it both guided the movie along and highlighted its every subtlety. The soundtrack probably isn’t for someone looking for stand-alone tracks, but rather it is made to complement the film. The songs are light and airy, so it isn’t any sort of distraction to the film. 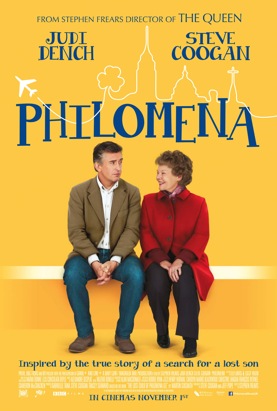 When watching Philomena, keep an ear out for it, and you’ll appreciate the incredible cohesion of beauty the film brings to the table even more. What did you think of the Philomena soundtrack? John Williams may not be an easily recognizable name, but I’ll be you’ve heard his iconic music. One of the greatest and most prevalent movie composers of all time, he’s composed scores for Jaws, AI and Raiders of the Lost Arc among many others. Chances are you’ve heard his work– probably many times. It’s only expected that he be nominated for an Oscar once again (Williams holds the record for most Oscar nominations). When I think of movie scores, I think of the type of music that Williams creates. It’s passionate and dramatic, and it always makes the movie scenes that much more powerful. There is a great range of feeling in his pieces. The song “The Train Station” is an incredible orchestra piece, which is loving and gentle. It creates great contrast to songs like “The Snow Fight” which are fun, exciting and perk your attention. Williams sets a precedent for movie soundtracks that I don’t think anyone could replicate. Williams truly is one-of-a-kind and creates music that everyone can appreciate. What are your thoughts on John Williams’ compositions? 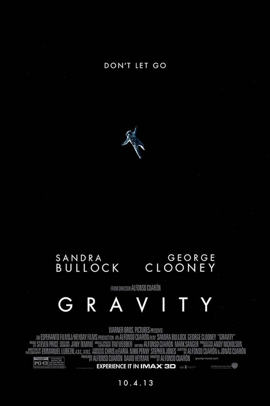 For a movie as gripping and intense as Gravity, the accompanying soundtrack is expected to be phenomenal; it needs to be composed carefully and with excellence. And British film composer Steven Price did just that. 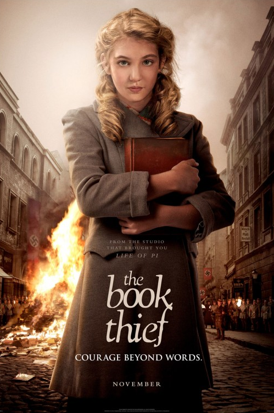 Each song of the 16 songs on the movie’s original soundtrack is as emotional as the next, even though some of the tracks might be a bit similar. Some of the songs are intense, such as “The Void,” “Debris” and “Shenzou,” and create perfect background music for the more gripping scenes in the movie, while others are much more soothing and are calming enough to listen to before falling asleep, such as “Aurora Borealis,” my personal favorite. A movie soundtrack is meant to accompany scenes of a movie and correspond to the tone of that particular moment. The music ultimately helps the audience connect with the characters in the film and empathize with their emotions. In my opinion, the soundtrack for Gravity does just that, with a variety of different instrumental pieces, and I wouldn’t be surprised if Price was called up to the stage on Sunday to receive as Oscar for his outstanding musical composition. What’s your favorite song from the Gravit” soundtrack? It is the job of a movie’s score to evoke emotion while watching a film yet not be intrusive. The score for Her, which William Butler and Owen Pallett of the band Arcade Fire composed, did this in an amazing way. Not only is the soundtrack emotion evoking, it delightfully combines electronic riffs with some classic instruments, which is perfect for the movie. The genuine feelings of love between an operating system and a human are by no means ordinary, so it is just that the soundtrack shouldn’t be ordinary either. My personal favorite piece is “Sleepwalker” which radiates a bittersweet feeling in its electronic beats. The melody is very chill, and definitely deserves to be listened to outside of the movie on its own. The score of any film can easily be taken for granted, but I argue that it is one of the key points of a film. What is more passionate and powerful than music? To be a truly influential film, it’s a must that there be an incredible score to back it up. There is no doubt for me that the score for Her could win “Best Original Score” tonight at the Oscars. What do you think of Arcade Fire’s compositions? The score for Saving Mr. Banks is difficult to notice when actually watching the film. However, once it is separated from the classic tunes by Richard and Robert Sherman that are peppered throughout the film, Thomas Newman’s innovative instrumentals speak for themselves. Being a period piece, it would be far too easy to simply reach into the past to decide a style of music, but instead, Newman has created a timeless backing to the film. Simple orchestration behind a lead flute set a tone which calls to childish imagination, the essence of Walt Disney himself. While Newman’s score backs the film beautifully, careful not to overshadow the Mary Poppin’s music which movie-goers expect to leave the theater singing, it might have a rough go at the Oscars against juggernaut composer John Williams, who wrote some of the most memorable scores in Hollywood, such as Jurassic park, Harry Potter and Star Wars and this year is nominated for the score of The Book Thief. 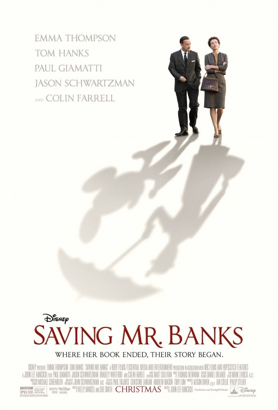 What do you think the Saving Mr. Banks score?